Mechanically, the maintenance needs of an automated gate system will vary greatly depending on the type of system you have. A low-cost operating system will require more maintenance than a higher end one. This is because a higher end system is installed with sealed bearing, maintenance-free hinges on swing gates, and sealed bearing maintenance-free wheels on slide gates, which means it does not need to be adjusted as often. Problems with electrical equipment that is installed outside can be caused by insects and slugs. 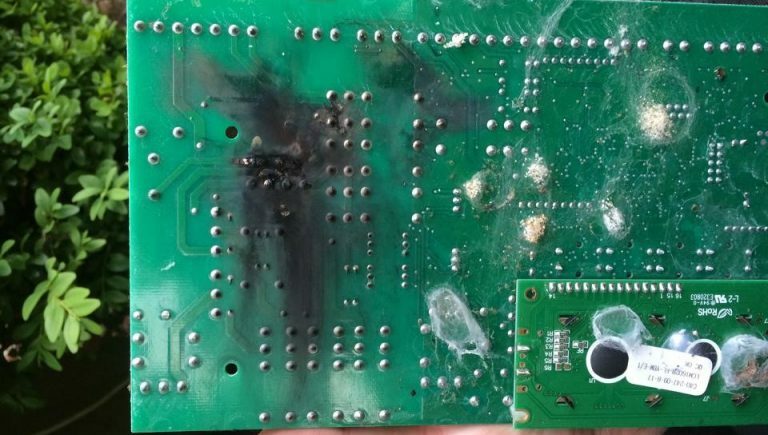 Spider webs with even the slightest bit of moisture on them or the slime trails that slugs leave behind can conduct electricity and destroy a circuit board. Bee’s nests and ant hills can also rapidly corrode gate opener circuitry. The most common problem is the presence of insects and associated debris inside photocells. This blocks the infra-red beam and prevents the gates from operating. These can be cleaned out using a small, clean, dry paint brush. 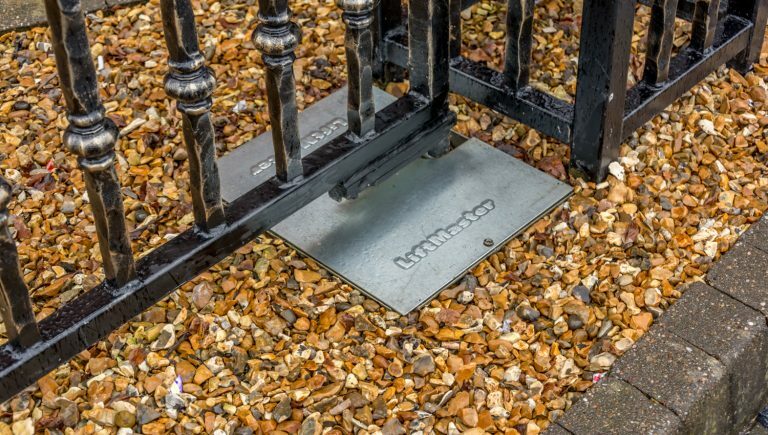 A higher end electric gate system is more resistant to pests as the circuit boards are dipped in protective coating and are housed in more secure enclosures. That being said, there is no brand of electric gate operators that will keep pests out forever. One very worthwhile check is making sure the circuit board enclosure and cable entries for the wiring are properly sealed. However, it isn’t easy to keep pests away as the cable entries and enclosure can deteriorate or warp in the sun over time. 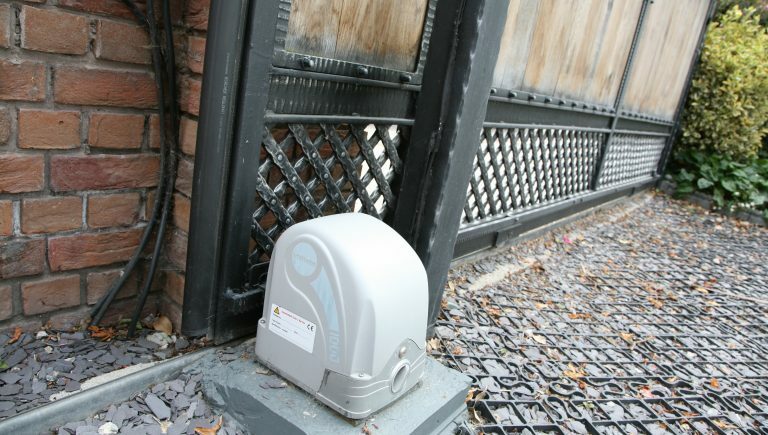 We recommend keeping an eye on your electric gate system and arranging an annual service. Your gate will look its best if it is regularly washed and if it is a wooden gate occasionally re-sealed with Osmo UV protection. 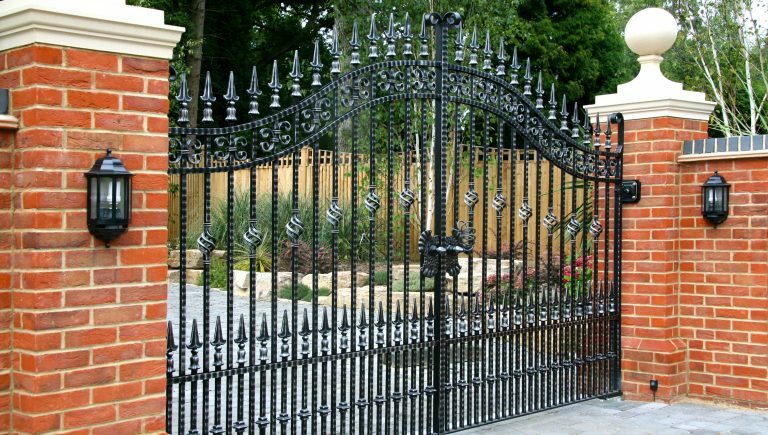 All of our wrought iron gates are hot dipped galvanised to protect the gate from rusting and guarantees the longest possible lifetime along with the least maintenance. Washing and waxing your gate once a year can keep it looking beautiful for a long time to come. You must also make sure photocells are clear of dried mud and overgrown plants or bushes. If they are blocked they will prevent your gate from closing. Make sure to cut back any plants that have grown in the way and wipe photocells with a warm, moist (not wet) cloth. Use water only (do not spray with oil for example). If your system does not have sealed bearing hinges or wheels, you should make sure that the bearings stay lubricated by using marine grade grease applied through the grease fittings using a grease gun. Many swing and slide gate operators have internal chains that should be lubricated. Slide gate operators also have the main drive gear that should be lubricated. WD-40 should NOT be used as a lubricant for any of these chains (however it is better than nothing! ), a heavy grease is only a slightly better option. The best option is spray on white lithium grease. Regardless of what quality your gate operator is, all systems will need to be checked periodically to make sure the gates are opening and closing with the correct amount of force, the reversing devices are functioning properly, and there has been no mechanical damage that is causing the gate operator to work harder than it should be, which will shorten its life. Any batteries in safety devices (such as safety edges and photocells) should be checked and replaced if necessary. It is also important to tighten all electrical connections, as they can loosen over time due to vibration and expansion/contraction caused by weather. You are best advised to enter into a yearly service agreement with a qualified gate installer, to carry out works on your gate equipment for you. We offer silver and gold service contracts for residential gates which are both practical and affordable. Our technicians are trained in force testing and carrying out the relevant safety assessments where a standard electrician is not.